Brandon is a London based street photographer, who has worked for several years in the creative industries. 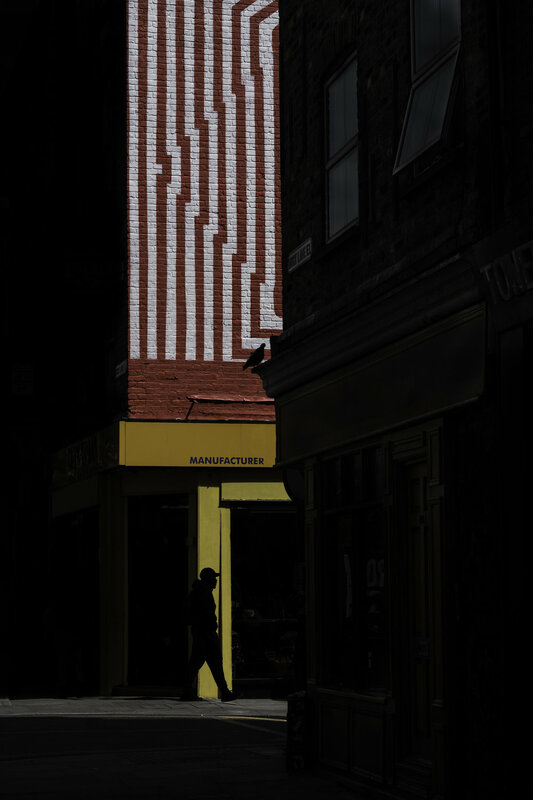 Entranced by the modern city, Brandon is devoted to producing impactful imagery, documenting the streets with a particular love for light and shadow and utilising the often unnoticed colour and abstract elements in the everyday in order to change the way we see our city. Some of his work has recently been featured in the BBC/Children in Need 'This is Britain' book, images curated by highly respected photographer Rankin. Brandon also featured in the well received exhibition at 3 Street Gallery on Carnaby Street during July 2018, where he was among 12 street photographers showcasing their work and providing more exposure for street photography. Brandon also supplies imagery to businesses across London looking for office art and private collectors from all over the world. For commissions, office art or any work related queries, please use the contact form. To buy limited edition prints, please use the link above to check availability.